Offer search: You may search for Offers and Partners and view related information about offer types and times, instructors’ information as well as Partners’ locations and other related information such as amenities and other offerings. We may also feature an Offer as an advertisement on the Platform or on any other social media sites, but this is not a recommendation or endorsement of such Offer. We make no guarantees or representations on the quality or nature of the Partners or Offers. Offer purchases: All Offers are updated on a weekly basis. You must purchase an Offer on the Platform in advance before you redeem the offer. Some Offers are popular, so make sure you plan in advance. Upon visiting the Partner to redeem your Offer, you may be asked to show your identity card/passport for verification purposes. Please make sure it matches with your official name in your Account. We make no guarantees or representations on the availability of Offers available for purchase as access to the Offers is on a “first come first serve” and “space available” basis. Offers can be purchased any time in advance, but some Partners may have shorter availability windows. We reserve the right to change, remove or add the Partners without notice to you or liability to us. Rate and review an Offer: You may rate your experience gained from the Offer or write a free-text review. By posting your rating and/or review on the Platform, you grant us an irrevocable, worldwide, non-exclusive, perpetual, royalty-free, sub-licensable and transferable license to use, reproduce, publish, list information regarding, remove, translate, distribute, publicly perform or display, and make derivative works of your rating and/or review in whole or in part, in any form, media or technology, whether now known or hereinafter developed for any purposes, including for the purpose of marketing and promoting Fave and the Platform and/or Service in any media formats and through any media channels, without further notice to or consent from you, and without the requirement of payment to you or any other person or entity. We may, in our sole and absolute discretion, choose to monitor, review or remove your rating and/or review if we think your rating and/or review has violated these Terms. Feedback: If you provide us with any comments, bug reports, feedback, or modifications proposed or suggested by you to the Platform and/or Service (“Feedback”), we have the right to use such Feedback in our sole and absolute discretion. You grant us an irrevocable, worldwide, non-exclusive, perpetual, royalty-free, sub-licensable and transferable license to incorporate and use your Feedback for any purposes. User Content: If you provide us with other form of user content, whether in textual, audio and/or visual form, including submission of entries for competitions and promotions, such user content remains your property. However, by providing user content to us, you grant us an irrevocable, worldwide, non-exclusive, perpetual, royalty-free, sub-licensable and transferable license to use, reproduce, modify, publish, list information regarding, edit, remove, translate, distribute, publicly perform or display, and make derivative works of your user content in whole or in part, in any form, media or technology, whether now known or hereinafter developed for any purposes, including for the purpose of marketing and promoting Fave and the Platform and/or Service in any media formats and through any media channels, without further notice to or consent from you, and without the requirement of payment to you or any other person or entity. You represent and warrant that: (i) you either are the sole and exclusive owner of all user content or you have all rights, licenses, consents and releases necessary to grant us the license to the user content as set forth above; and (ii) neither the user content nor your submission, uploading, publishing or otherwise making available of such user content nor our use of the user content as permitted herein will infringe, misappropriate or violate a third party's intellectual property or proprietary rights, or rights of publicity or privacy, or result in the violation of any applicable law or regulation. Late-cancellation and no-show policy: Fave maintains a free cancellation policy before the stipulated cancellation deadline. If you wish to cancel your Offer purchase, you must do so in accordance with the cancellation cut-off time specified by the Partner. If you cancel your purchase of an Offer after the cancellation cut-off time, this will be considered as a late cancellation or if you do not redeem at your purchased Offer, this will be considered as a no-show. Offers cancelled late or no-show are considered sold, there will be no refunds (either in the form of money or credit) for purchased offers that are not cancelled before the stipulated deadline or that you did not attend (no-show). There will also be no refunds for any partially used or unused offer unless you provide credible evidence to us to prove that you have been wrongly billed. We reserve the right to suspend or terminate your Account without compensation to you and/or prevent your access to the Platform and/or Service if you are found to have repeatedly violated this policy. We reserve the right in our sole and absolute discretion to remove certain Offers from the Platform and/or Service. We shall not be liable for the Offer cancellation or no-show by our Partners. 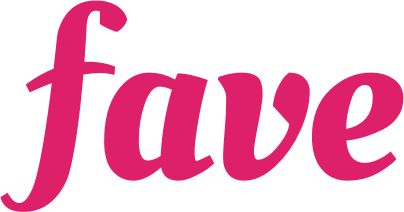 Communications from Fave: By signing up with Fave, you agree to receive certain email and other communications in connection with the Platform and/or Service. For example, you might receive review requests, Offer purchase and cancellation confirmations as well as friend requests from other Fave users. Communications relating to your Account will only be sent for important purposes, such as password recovery. You will also receive our e-mail newsletter from time to time. You can opt-out from receiving our e-mail newsletter by clicking the “Unsubscribe” link at the bottom of the e-mail. Children: Fave is only open to those who have attained the age of 18 or above, or the age of majority in your country. By signing up with Fave, you represent and warrant that you are at least 18 years of age. If you are under the age of 18 or the age of majority in your country, you may only use the Offers under the company or supervision of a parent or legal guardian, under such person’s Account and otherwise subject to these Terms. Multiple accounts: Every user is only entitled to create one account per person. Any user who creates multiple accounts with single identity or multiple identities shall be in violation of these Terms and shall have his Account suspended/terminated and shall not be allowed to have access to the Platform and/or Service upon suspension/termination. We and/or our Partners reserve the right to review and investigate all allegations of fraudulent activities and to take any and all measures we and/or our Partner deem necessary to ensure a fair sign up scheme is implemented accordingly. Additional terms: When using the Platform and/or Service, you will be subject to any additional guidelines or rules applicable to specific products, services or features which may be posted from time to time (“FAQs”). All such FAQs are hereby incorporated by reference into these Terms. In the event of any inconsistencies or discrepancies between these Terms and the FAQs, these Terms shall prevail. Should you have any questions, please send us an email to hello@myfave.com.